You can feel that changes have happened; in fact, you’re not the same person anymore! You have been questioning your reality and have started to drop the ‘mask’ that you have been wearing all these years. All those belief systems, the wounds from childhood, the drama, they all feel like they are dissolving, or like they don’t matter anymore. You find sparks of inspiration, like you’re finally on the right path – or at least heading in the right direction! Awakening spiritually is a strange experience and different for every person. Some people have wild esoteric experiences, others have a mild and somewhat peaceful transition, and some people feel like they’re having a breakdown. 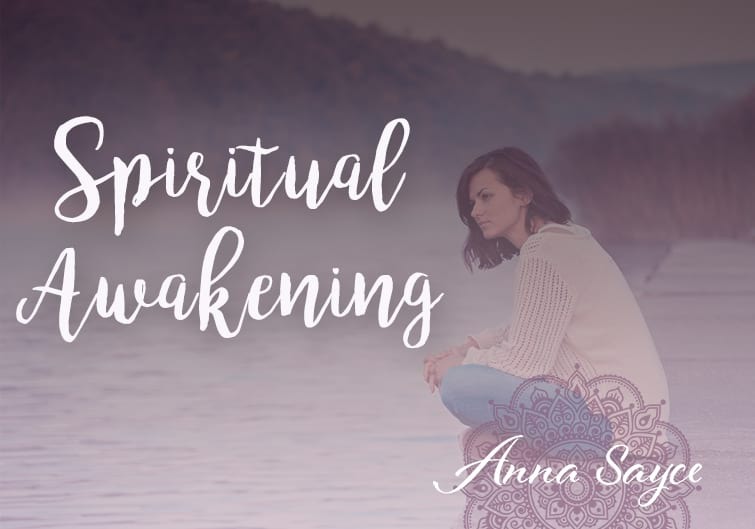 When awakening to your authentic self, you can go from having a battle with your ego where it feels like you’re having an argument with a two-year-old child inside your mind, to having moments of pure clarity and feelings of peace and oneness. It is truly a rollercoaster ride and the transition period can often feel painful and disorientating. You are not only remembering who you are at a soul level, but you are trying to integrate this with your physical body. This can cause physical consequences such as getting the urge to change your diet, as well as emotional issues like depression or anxiety. If you’ve been on the spiritual path – a true seeker – you probably have picked up heaps of techniques and tricks to help you to work through your ‘stuff’. You now know how to meditate, have tried mirror work, have a great relationship with your inner child, and have healed your mother and father wounds. All awesome and totally helpful. You’ve done all the hard work and now it’s time for the rewards, right? Sadly it is not that straightforward. Spiritual awakenings are complex and simple at the same time – they are a paradox. They can be the best thing and the worst thing that has ever happened to you. You often feel like you’re going backward, struggling to hold onto those glimpses of the true reality, but these ups and downs are all part of the process. No matter how much ‘work’ we do, we can easily fall asleep again, back into our story. I’m a vegan yogi who is always happy – I’m killing this awakening! Just because you look like you’re doing the right things to reach an enlightened state, doesn’t mean you are necessarily on the right track. Spiritual bypassing is where you use spiritual practices to avoid dealing with your pain and wounds. Let’s face it. No one really wants to look back to the past and face those demons unless we really have to. But by using the Law of Attraction, affirmations, or similar, without dealing with the deep underlying emotions, you may find that physical manifestations of the issues start to appear in your body – calling out for your attention. Sure, you may understand that the past is just your ‘story’ and you can let go of that whenever you choose, but your physical body still needs to catch up. Doing work to release emotions stored in the body such as the neuro-emotional technique or kinesiology can do wonders. The blame game – it’s their fault! As the mind wanders back into the past and wants to wallow in your circumstances asking “Why did this happen to me?” “Why does nothing ever work out for me?” “Why did they do that to me?” we are lost again, back in our ego, lost in our victim story. It’s great to look at the past to help us to understand ourselves better, but stay in that story too long and you may find yourself stuck there. It’s natural for humans to visit that underworld – Victimland – and you have the free will to stay there as long as you want. Maybe set yourself a time frame and then get your ticket out of there through raising your vibration with exercise, meditation or whatever fun activity you enjoy. Patience you must have (thanks, Yoda!) You understand you are more than your physical body – tick! You realise you are not your mind – tick! You know you are not your thoughts, have moments of self-realisation, have let go of judgment of others – tick, tick, tick! Your ego will be keen to grab hold of your spiritual awakening and try to skip through the ‘levels’ as quickly as possible. When you hear yourself wanting to get somewhere with your awakening, you’ll know you’re in your ego – sometimes known as a spiritual ego. The ego will morph and change as much as it can to try and control the situation. It’s best to try and let go of any expectations you may have about your awakening, and do your best to remain patient. Attempt to accept where you are right now – as hard as that is. Controlling the future. It’s natural to want to know all the answers, but as you can see, much of the awakening process is to do with letting go of control. It is a delicate balance between trying to follow the inner guidance of the authentic self and not getting confused with the ego voice trying to trick you into making decisions. There is nothing wrong with making decisions from your ego, you’ve been doing it your entire life so far! But trying to control the future and forcing things to happen can cause more suffering, as there’s a chance you’ll have to let go of what you’re newly creating. Try instead to listen to the quiet guidance of your authentic self/intuitive voice. Your true self may reveal answers during meditation or through synchronicities. Perhaps you want to do a yoga course as you think (thanks, ego mind) that it would be a good step for you. Try and wait (refer to point four!) and see what unfolds. Perhaps you will meet someone that says they run yoga courses. When you speak to them you feel like you are in that flow state – it just feels right. That may be a good indication that your authentic self would like you to take that path. As you can see, it is not an easy or fun process. It usually involves a lot of arguments with yourself, tears, anxiety, and big life changes. The best advice I can offer is to surrender to the process as much as possible. Trust that it is happening for a reason, and the more you resist it, the more you may struggle. People from all walks of life are waking up all around the world. You are part of this unique human experience – feeling what is like to really know yourself as a spiritual being, inside a physical body. What do you feel is the most difficult part of a spiritual awakening? Let me know in the comments! 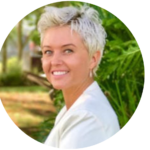 Shar “The Maverick Medium” is a psychic-medium who is passionate about all things spiritual, and is a graduate of Anna Sayce’s Akashic Record Reading Program. She loves to connect with people all over the world offering readings on Skype, and providing information on her blog and YouTube channel, with topics ranging from ghosts to finding your life purpose. This was awesome! Thanks Shar, I needed that.